Considering a vacation in Canada? 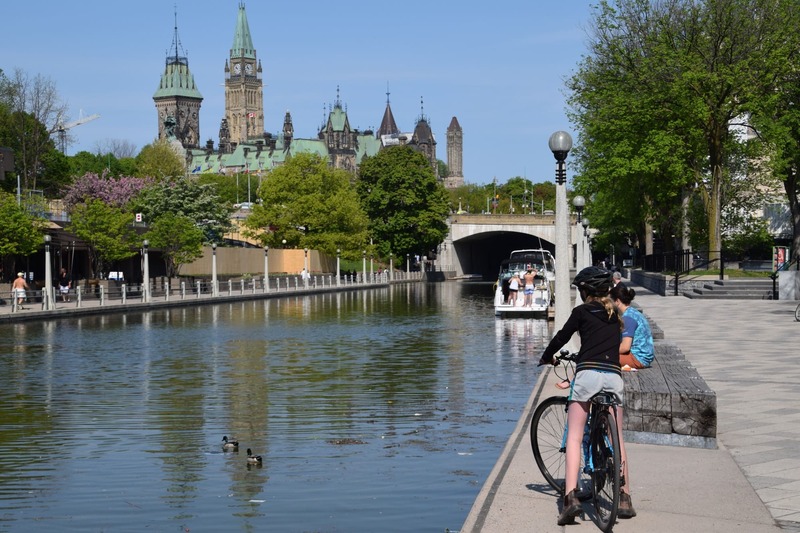 25 Places in Canada Every Family Should Visit will inspire and guide any parent planning a trip in the world’s second largest country. This book is filled with funny, relatable anecdotes about exploring Canada with kids. It’s also packed with destination-specific recommendations and photos. There’s even a handy section on travel tips, featuring advice from travel experts (ahem, like moi!). My dog-eared copy has me dreaming of witnessing the Northern Lights in the Yukon, clamming for dinner on Prince Edward Island, and seeing wild polar bears in Churchill. What’s more, we’re giving away not one, but TWO copies of 25 Places in Canada Every Family Should Visit to two lucky readers. 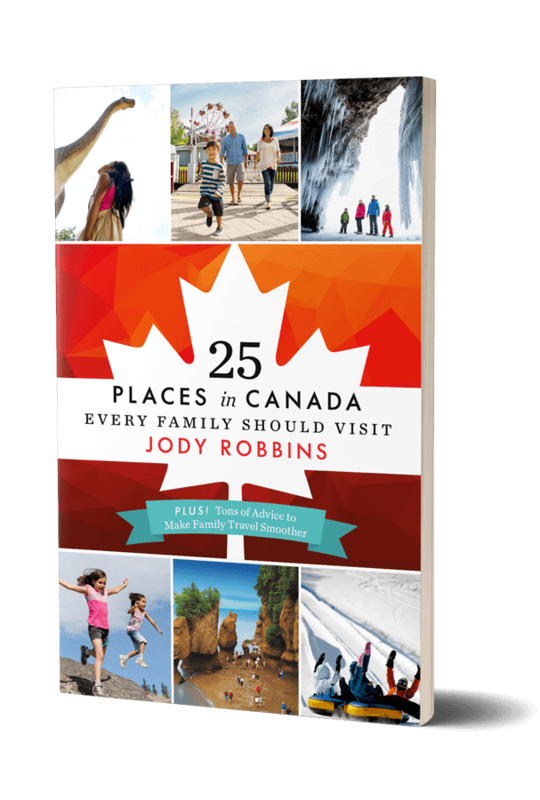 But first, let’s learn a little bit about Author Jody Robbins, her fabulous book, and her picks for the best places to visit in Canada for each season. This giveaway is brought to you in partnership with Touchwood Editions. Tell us a bit about yourself, your family, and your writing career. How did you decide to write 25 Places in Canada Every Family Should Visit? Do you consider yourself a “Canada expert”? Did your publisher approach you, or vice versa? How have you been promoting your book? 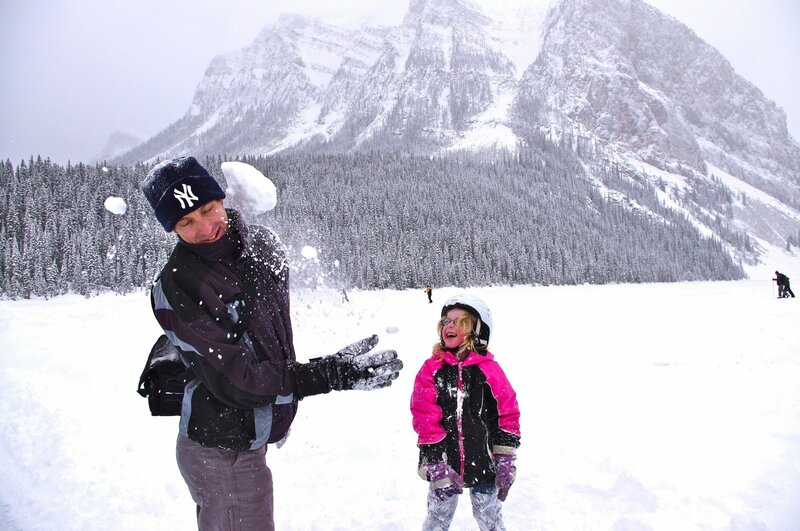 What is your favorite Canadian destination to visit for each season with kids and why? You include a section filled with helpful tips on traveling with kids. What are a few of your favorite travel-with-kids tips? I live in Calgary, Canada with my husband, daughter and dog. I’ve always traveled ever since I was a little kid. My grandparents lived on the other side of Canada so back and forth we’d go. I did my first solo trip when I was 16 (to Europe) and that got me hooked. I studied international relations/poli-sci at university in the hopes of being a spy. That didn’t happen, but I did carve a career out of travel – teaching English at a Japanese high school, working as a trade officer for the government, managing a European sales team, etc. After I had my daughter I wanted a new challenge and a more flexible job, so I started pitching newspapers travel stories based on my experiences. Seven years later, here I am, but it’s taken me publishing this book to call myself a writer. I knew Canada’s 150th birthday was coming up and I wanted to celebrate it with my family in some monumental way. I did a ton research and couldn’t find any travel books on Canada that addressed the needs of families. It’s one thing for a restaurant to say they’re family friendly, but unless they have a booster seat, baby change station and customizable menu are they really? After seeing this gap, I decided to take it upon myself to find the very best spots in Canada for families to share with the world. The research was major, because, of course I had to visit ALL 25 places and I only had 14 months to do it. That year I only took off four weekends. It was crazy, but worth it. I guess I’m considered a Canada travel expert, but we Canadians don’t like to boast, so I’d never put that in my bio (unless I was pitching a U.S. outlet!). I approached the publisher, you don’t really need an agent in Canada. In 99 percent of cases you’re supposed to write the book first. I hadn’t. They loved the idea and wanted to see two sample chapters. I whipped those up over a weekend, and we made a deal two weeks later. The publicity has been fantastic. My book has been featured in all the major newspapers in Canada, Today’s Parent, Best Health, Reader’s Digest, and I went on The Marilyn Denis Show, which is Canada’s version of Live with Kelly! TV is cool, because if you jump on Amazon right after, you always see an increase in your rating. Trending number one on Amazon (in the travel category) and being an Amazon bestseller were bigger rushes than I could have imagined. I’m partial to the Rockies for winter, which are in both British Columbia and Alberta. Banff National Park is a rite of passage, but I really love visiting Waterston Lakes National Park in winter. It borders Glacier National Park in Montana and together they’re a UNESCO Biosphere preserve. Waterston is this tiny town – it looks like it hasn’t changed since the 50s. In winter many businesses shut down, but some restaurants, gift shops and two hotels remain open. It’s like having an entire National Park to your self. It’s super affordable, the wildlife is off the hook (500 elk at a time grazing in the fields), and there are loads of hiking, cross country and snowshoe trails. In spring when I need a dose of green, I make a beeline for Victoria, the capital city of B.C. It’s known as Canada’s Garden City. 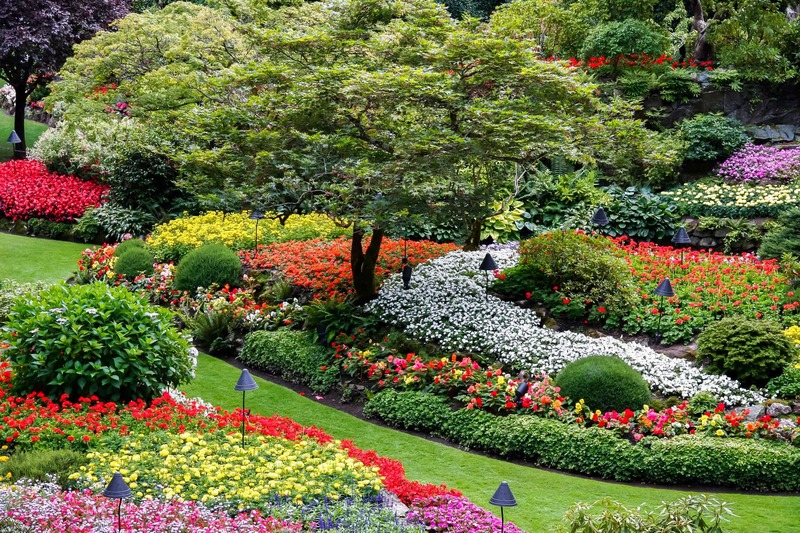 A visit to The Butchart Gardens is a must. Also on your hit list should be Beacon Hill Park for their daily goat rodeo. Along the Inner Harbor, there are loads of family attractions from Miniature World to a Bug Zoo to water taxis where you can buzz around to see marine life. For parents, head to Oak Bay Beach Hotel and snag a day pass. Then swan around their lovely outdoor pools that frame the Pacific. Ontario was made for summer. There are so many warm lakes and sandy beaches along the Great Lakes. You can rent a cabin, hang at a resort or camp. 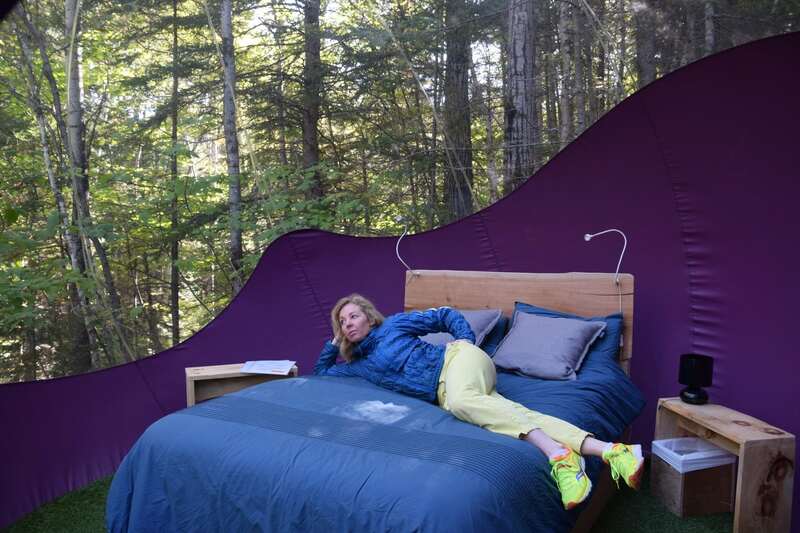 We have loads of glamping options in Canada. It really takes me back to my childhood when we’d hole up in cabins without TVs and just explore. For fall, Quebec for the changing of the leaves. It’s just magical. I went to the Saguenay fjord region in early October and saw so many whales and other aquatic life. Quebec City is charming anytime of year, but in fall it looks like a fairytale come to life. Sleep is so important to me, I recommend packing a sheet of blackout material in your suitcase and duct tape it to the windows if your curtains let in extra light. I also go nowhere without an eye mask and noise cancelling headphones (which you can wear if someone else is on tap for nighttime wake ups). Don’t schedule too much. Plan for one main activity a day and have a second or third as backup if you feel you can handle it. Or, if you have one full-on day (like at an amusement park), plan a chill beach day the next. Plan ahead with your partner and swap off a half- or full-day, so each of you gets some time to rejuvenate. Traveling can be stressful at the best of times, and when you throw kids in the mix it’s magnified. To be your best your have to nurture yourself, too. We want to do, do, do on our holidays, but research shows you’ll feel much better if you just be. Kids don’t care as much as we think they do about all these attractions. Time in nature allows you to bond far better than a city break. 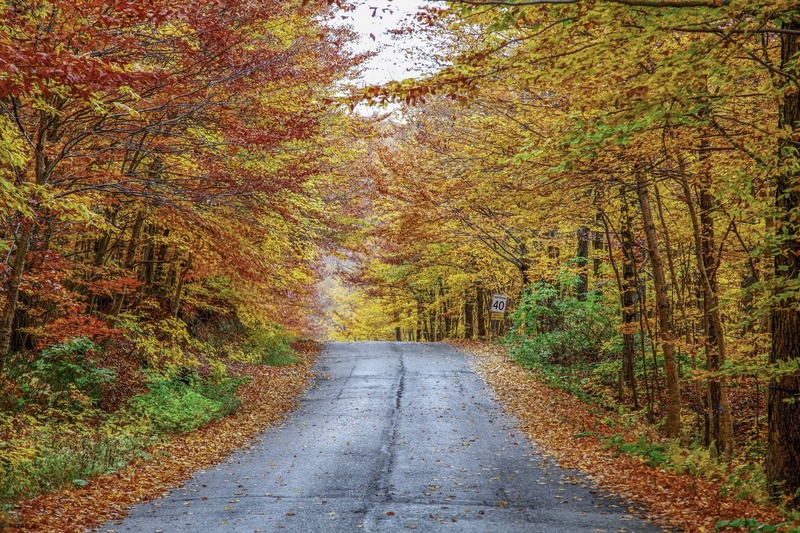 Even if you are going to a city, be sure to map out green spaces to give everyone a break. Enter to win one of two copies of 25 Places in Canada Every Family Should Visit using the Rafflecopter form below. Entrants must be 18 years or older and residents of the U.S. or Canada. Winners are chosen at random and notified via email. If not claimed within 48 hours, prizes will be forfeited and other winners will be selected. Prizes will be provided by Touchwood Editions. Neither Travel Mamas nor Touchwood Editions can be held liable for this giveaway. See additional terms and conditions. Can’t wait to see if you won? I don’t blame you. 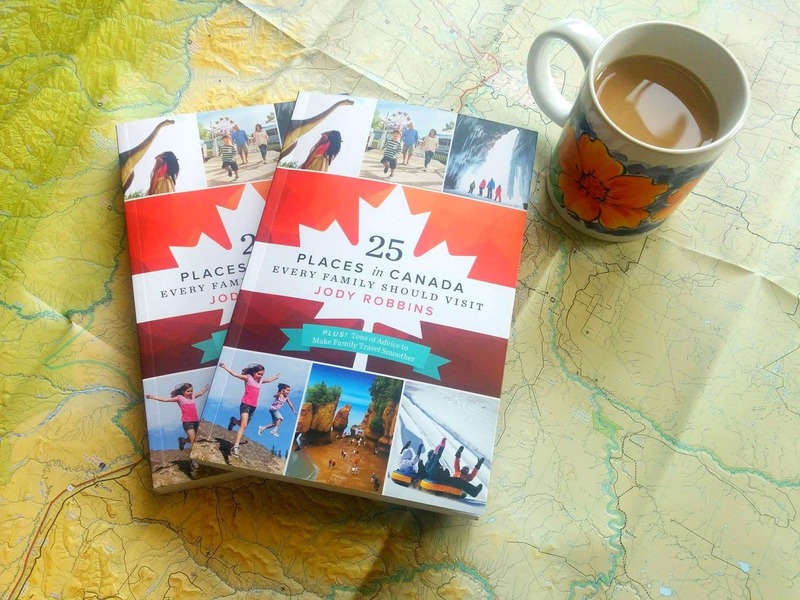 25 Places in Canada Every Family Should Visit would make a great gift for a travel lover, or a great read for yourself. Buy your paperback or Kindle copy via Amazon now! 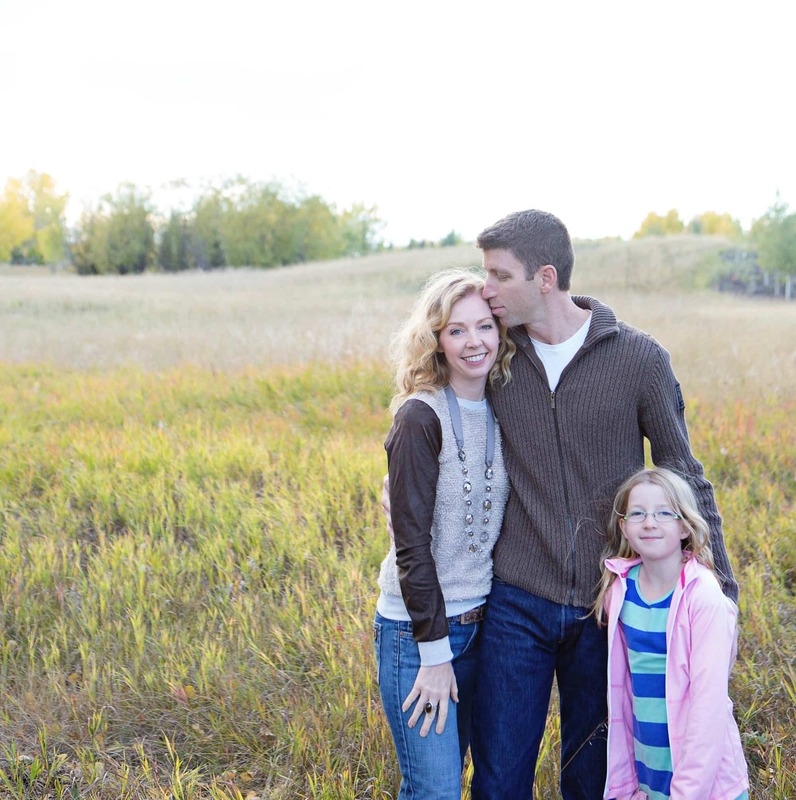 In addition to being a published author, Jody is also a regular contributor to TravelMamas.com. Read stories by The Saucy Travel Mama now! 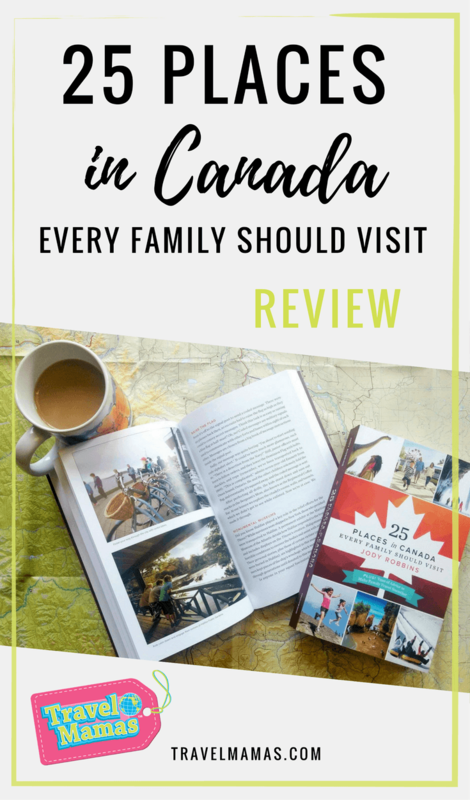 A Note from The Travel Mama: I received a copy of 25 Places in Canada Every Family Should Visit for the purpose of this review. I did not receive any additional compensation related to this post. All opinions are mine, as always. If I could visit anywhere in Canada, it would be Newfoundland. I’ve always been so fascinated with the natural beauty of the area. It’s just gorgeous. I’d love to see Quebec! I’ve been to the Canadian side of Niagara Falls, and to Montreal, and I would love to see more of Canada. I bet your book is a good read! If I only had the time and resources, I would visit each and every place listed in the book. Canada is such a beautiful country, with travel spots worth visiting with the entire family. I would love to see the Butchart Gardens in spring. I am putting this book on my Christmas list! We don’t live far from Canada, and my husband and I usually take a trip there every few years. This book will definitely come in handy the next time we plan a trip. I have never been to Canada but my husband really wants to go. I need to get this book and see what we should all see as a family. This looks like such a beautiful place to visit. I really want to see Canada! Canada is a super fun place to visit. So much to see and do, making a list is hard! I’ve always wanted to visit Canada. This is a marvelous list that I’m hanging on to for future use. This looks like a great book. I would love to be able to see more of Canada. This would be a great gift idea for a friend of mine. This is amazing! Congratulations! Canada is one of our favorite places to visit with the family! I can’t wait to get a copy and explore Canada more! I would like to go to Montreal because I’ve heard it’s such a nice city. I love that she was able to just ‘whip up’ two chapters so easily. That is every writer’s dream to do (besides being published). Big congrats to her on the publish. How fun! My dad had travel books when we were growing up and would let us pick our next destination. This sounds like a great choice to pick up and let the kids design the fun. Wow this is a cute travel guide to Canada. I think in 2018 I would love to visit some parts of Toronto I am sure that is in the book! I haven’t fully explored Canada which is why I appreciate posts like this! Thanks for sharing your thoughts on the top 25 places that my family and I could visit. I would love to go to Toronto to see the CN tower with my family! Thanks! I would love to explore Canada and learn more about the places that we can visit! I think this guide is perfect for people like me. What a great idea for Canada’s 150th birthday. It must have been difficult to narrow down the places to just 25 as there are so many amazing places to visit in Canada. Can’t wait to read this to learn more about places I haven’t been to yet with my family in our home country. Living overseas and hearing all the places my Aussie friends have been in Canada has made me realize how much more of Canada I need to see. We love the Rockies too, but I can’t wait to get to Vancouver Island and Newfoundland…hopefully soon! I love the idea of your book and it’s on my Christmas wish list! I would love to visit Churchill and see the polar bears with my sons! I would go to Vancouver to enjoy the great nature scenes there. Enjoy your travels to Canada with your fiancee! Ontario is a place I still wanna go, it looks beautiful on pictures and I’d just love to see it in person! With only so much precious time to spend with our family exploring together, my husband and I are always researching meaningful family adventures that we’d like to experience with the kids. 25 ideas in one book sounds like a great start to me. Thanks for the chance to win. In 2018 we would like to take our family out to explore the East Coast of Canada. We love nature and exploring with the kids. Nova Scotia and PEI have a lot to offer. So many unique experiences. We hope to go whaling watching, explore Hopewell Rock, go clam digging, bike a picturesque seaside trail, go hiking, fill out bellies with fresh lobster, relax on the beach, go mud sliding, honestly the list goes on and on. A very ambitious wish list but well worth it. We can’t wait! I would like to go to Calgary for the rodeos. I’d love to go to montreal or quebec city to brush up on my French.